The Albion Pros took on crosstown rival Chula Vista FC in the local San Diego Derby Game yesterday. Over 1000+ fans came out to witness the San Diego matchup in person. There was a true European style atmosphere at Mission Bay High School Stadium with flags waving, chants echoing, drums beating and fan’s faces painted with Albion SC colors. There was an air of excitement as two distinct rival youth clubs and their senior teams took the field. 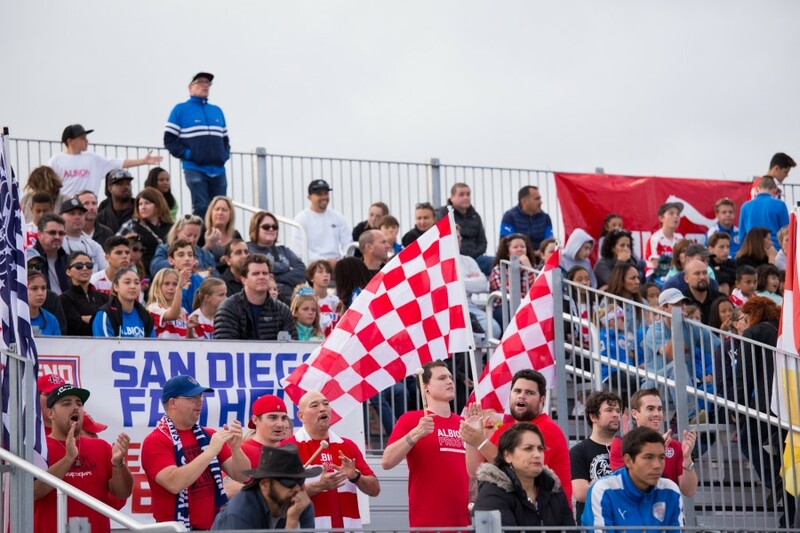 Chula Vista FC, as recent US Open Cup contenders, wanted to express their experienced dominance over the professional San Diego soccer scene. On the other hand, Albion Pros went out to prove that they are the new dominant soccer force in San Diego. In a hotly contested match, there was bound to be plenty of action. The Albion Pros prevailed with speedy counter attacks and timely goals in the battle to be considered the best professional soccer team in San Diego. Chula Vista FC came out of the locker rooms ready to prove they belonged to be the best San Diego soccer team. It showed on the field as they had the majority of the early possession and crafted a handful of early half chances. Luckily for the Albion Pros, none of the early CVFC chances found the back of the net. GK Jean Antoine was steadfast between the sticks as Chula Vista threatened his backline early and often. As the Albion Pros started to settle their nerves, their mistakes at the back diminished to almost zero. The Pros launched quick counter attacks, mostly down the right side with winger David Luquen, after breaking down the Chula Vista FC attack. However none came to fruition for the Pros in the first half hour. Just past the half hour mark, Luquen sprang free down the right side behind the left back and was brought down from behind to force the referee to call a penalty. As Chula Vista FC protested the call, Ricky McKenzie calmly set the Official NPSL Mitre ball down on the penalty spot. As the crowd came to life, the Honduran international McKenzie swiftly put the ball into the right side past the hapless goalie in the 33rd minute. 1-0 to Albion Pros. CVFC continued to push for an equalizer and had aditional shots that strayed just wide and over GK Antoine’s net. As the half was coming to a close, a long ball was played in the direction of Pros forward Marquis Brooks, but was won by the CVFC defender. Unfortunately for Chula Vista, the ball bounced backwards towards the onrushing Albion Pros forward Jonny Zurita. Chula Vista clamored for a offside call, but was correctly denied by the center referee. Zurita then played in a cross to Brooks who tapped in the cross to the far corner just before halftime. Brook’s goal in the 45+2 minute made it 2-0 for the Albion Pros going into half time. The halftime break was filled with “Dizzy Penalty” challengers from Vavi Sport and Social Club and 91x Radio station. The players soon took the field for the second half. A battle for the lion’s share of ball possession ensued as both teams looked to imprint their style on the game. Albion Pros had settled their early first half backline jitters to control the game and stifle any Chula Vista attack. Both teams then began to make substitutions in this preseason friendly to find another opening. The Albion Pros came close through substitute midfielder Genaro Cervantes’ strike that cannoned off the crossbar. Shortly thereafter, Captain Luke Staats saw a set piece volley saved by the Chula Vista GK. Later two more subs, Mohammed al Jaber and Douglas Andrade combined to graft a crossing effort that al Jaber headed just over the crossbar from point blank range. Deep into the second half, Chula Vista finally found some room to challenge the Albion Pros goal. In the 75th minute, a Chula Vista forward was split through the heart of the Pros defense with a 1v1 opportunity against GK Antoine. The Pros goalkeeper was quickly off his line to thwart the incoming shot near the edge of the 18 yards box. He made the huge save with his chest, protected by G-Form padded compression gear. CVFC weren’t done challenging the Pros netminder. In the 80th minute a Chula Vista forward was able to find a pocket of space in the Albion Pros 18-yard box where he was felled by midfielder Daniel Glascock. Would Albion Pros have late game penalty kick heroics from Goalie Jean Antoine once again? CVFC’s Alberto Diaz emphatically buried the penalty kick to deny Jean Antoine’s second consecutive shutout. The score was now 2-1 to the Albion Pros with 10+ minutes to go. The Pros never panicked and continued to counter swiftly against a Chula Vista team that was pushed forward searching for a late game equalizer. Finally in the 90+ min stoppage time, midfielder Al Jaber was able to spring speedy forward Douglas Andrade through the CVFC backline. Andrade made no mistake and deftly chipped past the diving on-rushing Chula Vista Goalie and into the net. Andrade then turned and celebrated with the 1000+ fans in the stands, his mob of teammates and the drums of the Albion Pros’ supporters group The Deep End. The score would end at 3-1 in a fiercely contested and slightly controversial matchup between San Diego rivals. In the end the Albion Pros deserved to take the spoils of being San Diego’s finest professional soccer team. 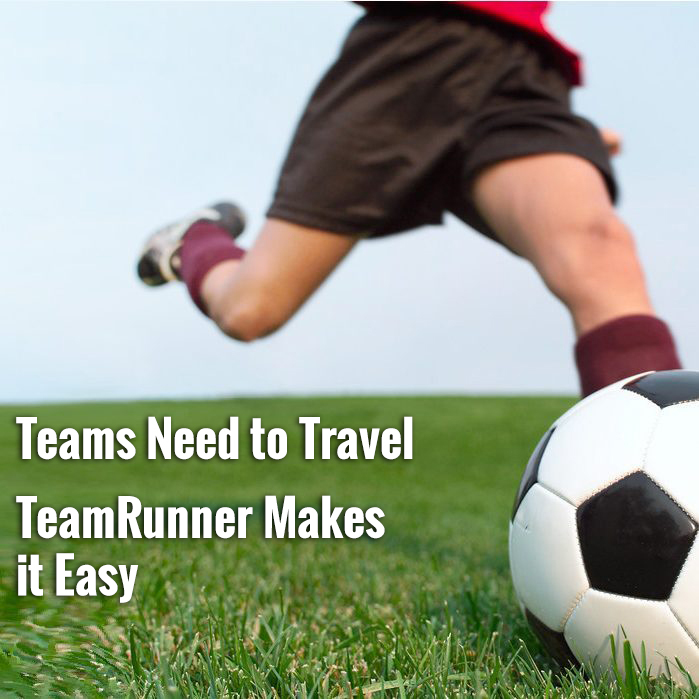 The fans, press, players, and coaches would all leave happy with the result of the game. The next game for the Albion Pros is AWAY to Deportivo Coras in Riverside, CA for the first NPSL regular season game of 2016. The next HOME game for the Albion Pros is Saturday, April 9th at 5pm vs Temecula FC at Mission Bay HS Stadium.